Your reputation is priceless, but it's hard to shed a bad reputation once one has been established for you. With online reviews giving people instant access to others' opinions about your business, it's especially important to give a lot of consideration to how your company is represented online. If you need convincing, here are 2 major reasons why you should care if your business is receiving negative reviews online. 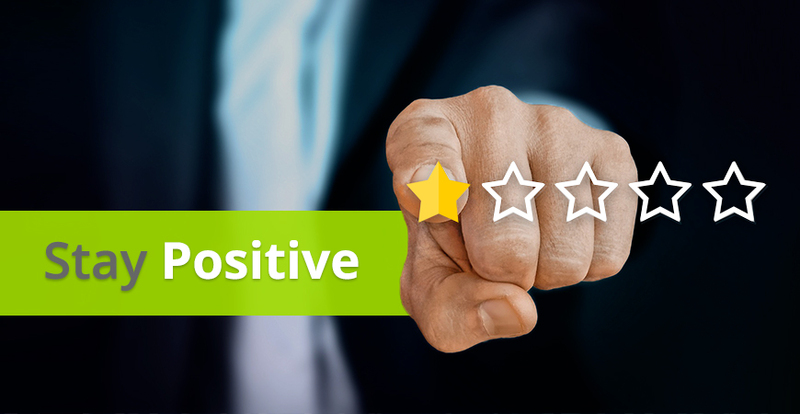 I'll also offer a few solutions for generating positive reviews so you can foster the fantastic online reputation your company needs. 1. It's your first impression to a new prospect. Imagine travelling to a new city and trying to find somewhere to eat. You google "Italian restaurants nearby," and two different restaurants pop up. Restaurant A has 23 reviews and an average of 4.2 stars on Google, and Restaurant B has only 3 reviews and an average of 2 stars. Chances are you're going to select Restaurant A. Choosing a place to live is no different. A recent study found that 90% of people read reviews before making a purchasing decision, and it is believed that at least 84% of people will value these reviews as much as they trust recommendations from friends and family! It's imperative that the reviews on your rental property and services paint you in a favourable light. 2. Your company will get lost on the web. In a digital era, businesses are taking different steps to ensure their sites are easily found online. This involves using Google AdWords campaigns, having active social media outlets, and creating inviting sites with lots of content. These are also all factors that Google takes into consideration when determining your Google ranking. Online reviews also factor greatly into how you are ranked on Google, with a lower ranking leaving you less likely to be easily found. So, how do you ensure your online reviews are positive? Yes, it can be scary to ask a client to give you a review out of fear of receiving a negative review. But, sitting back and hoping to get positive reviews won't lead to change. Unfortunately, when people leave reviews without being asked, it's usually because they have a complaint to make. Asking happy clients to leave reviews can help balance out or even overcome the complaints. However, it's also important not to provide an incentive for leaving a review. This will tamper with the authenticity of the review and result in providing a false reputation to prospects. Not many people are going to spend 20 minutes of their day answering a load of questions with comments about their experience. It's important to get right to the point. For example, ask "Have you been satisfied living in Property X?" It's a simple "yes" or "no" question, which should include the option to leave some comments. This format will encourage more people to take a minute to answer a quick question, and even to elaborate a little on their experiences. Don't be afraid to reply to a negative review. You can never satisfy everyone, but you can show your tenants you're listening. If someone is unsatisfied with your service, be polite and reply back trying to remedy the problem. Then, in a few months, you can circle back around and ask them again to get that positive review you deserve! Make your life easier by using a digital tool for reviews. Save the paper and use a digital tool such as ReviewEdge to send review requests. You can generate Google and Facebook reviews through your review requests that can be easily added to your site.